From Keller: Keller Shells expands their offerings once again by adding a new line of drum shells made with Maple plys that are 40% thicker than the plys used to make their current VSS ™ Maple Drum Shells. This new line of shells is made using VSS technology and will be offered in 5 and 7 ply configurations with diameters of 10" through 24" and 5, 7 and 9 ply for snare diameters. 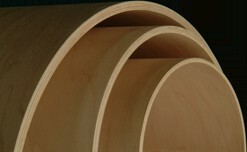 The use of thicker veneers brings out the full potential of Maple as a tonal wood. 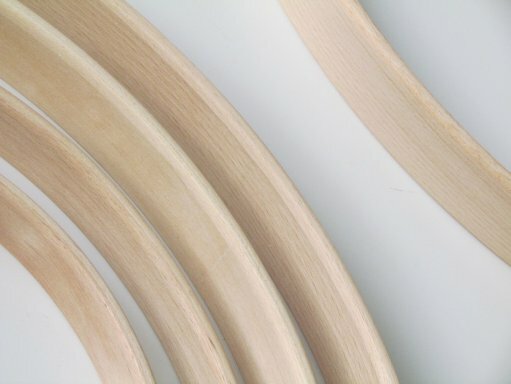 A shell with more wood and less glue produces a more organic tone and allows the warmth of the Maple to really come through. The increase in sustain and the low full-bodied fundamental notes are immediately noticed. The thicker plys really bring out the best in these shells; Toms and Snares have rich, focused tones and bass drums are thunderous, explains Justin Owen, Special Accounts Manager and musical shell expert at Keller. The Magnum Series offers another great avenue for drum companies and custom builders to expand their offerings and differentiate themselves from one another. The 5, 7 and 9 ply configurations result in an extremely well balanced shell that also offers a great platform for finishing. This is a win-win for the drum world! We couldn't be more pleased with how these shells perform. The Magnum Series also features a Limited Lifetime Warranty!